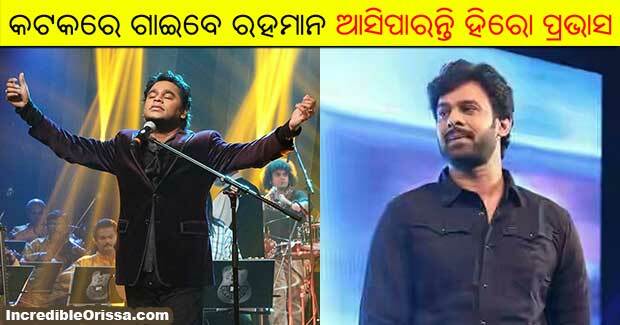 Oscar and Grammy award-winning music composer AR Rahman will perform live in the millennium city Cuttack as per the Odisha Men’s Hockey World Cup celebrations. The legendary musician will perform in Cuttack on November 28, a day after the inaugural ceremony of the mega sporting event at Kalinga Stadium in Bhubaneswar. Rahman himself announced this on his official Twitter handle. Though the exact venue is yet to be finalised, it is expected that AR Rahman will be seen in a concert either at Barabati or the indoor stadium. It is pertinent to mention here that Rahman has composed the official anthem for the men’s Hockey World Cup which has been penned by lyricist Gulzar. Sources said, both AR Rahman and Bollywood superstar Shah Rukh Khan will also be seen during the opening ceremony of the Hockey World Cup at Kalinga Stadium.